Each of our retreats, day retreats and workshops combines the three strands of Fit, Food and Feel, to help you return to a happier and healthier way of life post-baby. Get out of your pyjamas and back in your sports bra. Now that you can finally put the baby down, it's time to get back to some you time. We don't mean dropping all the baby-weight instantly. We mean building up your strength and fitness to a sustainable level - remember, your body's just been through the biggest workout of its life! And if you're healthier and happier, you're a better parent to your little one. Our classes are tailored to your level by our qualified post-natal trainer, Caroline Bragg, and may include HIIT, boxing and dance-inspired classes, outdoor cardio, conditioning sessions, pilates and stretching. She doesn't let you get bored! You'll also have a one-to-one pre-exercise consultation and personal training session at the start of the week so we can really understand your own personal birth story and fitness levels in order to tailor activities properly to you. We strongly recommend getting sign-off at your 6-week GP check-up before attending any &Breathe retreat or event, in order to make the most of your time with us. Very gentle rehabilitation exercise is possible before this point, but not the full &Breathe restorative and strength-building experience. So you've been eating biscuits for the last few months? Time to kick the packet. We know that willpower is weak when you're sleep-deprived, so our focus is on healthy meals and food plans that also taste delicious. New parenting is a pretty time-poor world, so we also like food that is quick and easy to make. We work with nutritionists and guest chefs to bring you inspirational and sustainable meals and recipes, and the best bit is that your meals are cooked by a fellow parent (Clio or another host) so you know you can do it too! Don't worry, we do know you're on holiday, so there's also a treat or two and wine with dinner. This food philosophy (healthy, yummy, easy) runs through all our events from the catering on our week-long retreats, through the cooking demos and brunches on our day retreats, to the recipe cards and meal boxes at our workshops. Having a baby is a real shock to the system, emotionally as well as physically. From your new body (temporary or not), to the practicalities of clothes, your new identity as mummy and daddy, to the age-old dilemma of going (or not) back to work, it can be a trying time. &Breathe cultivates a friendly, safe environment where everyone is going through the same thing - don't be shy! The safe environment of &Breathe retreats is unlike any other holiday with a baby, trust us, no judgement here. As well as time for you in our fitness and rehabilitation classes, you get the chance to truly relax with a divine massage, take some time for yourself during the childcare sessions and have a date night with your other half (if you can keep your eyes open long enough). We introduce gentle mindfulness and meditation techniques to the week via optional sessions - a chance to get to know your breath and focus on your mind. Parental mental health is at the heart of what we do. 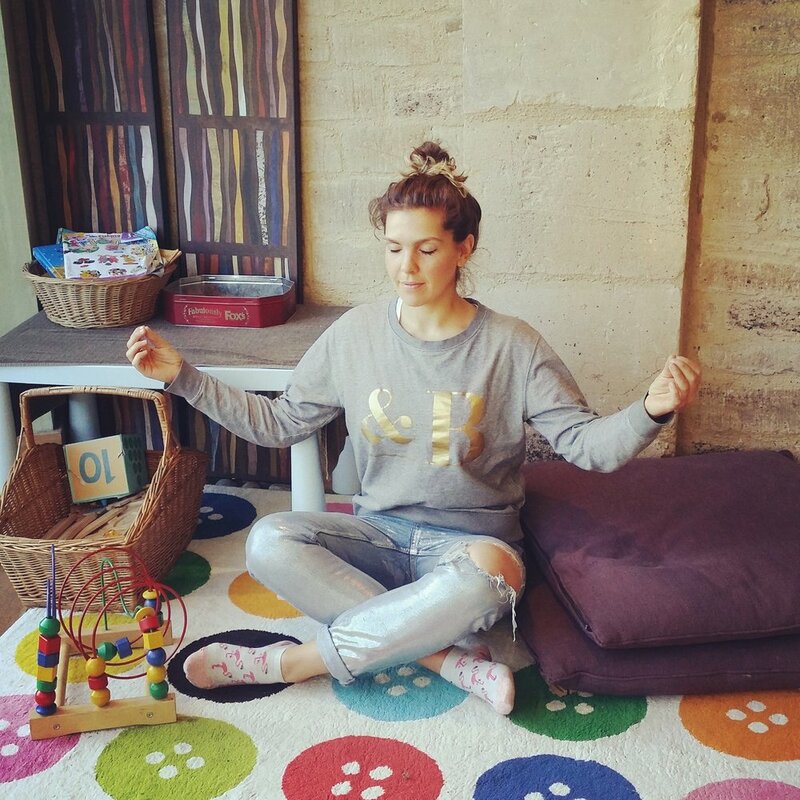 Our Resident Happiness Coach, Olivia Horne has created an &Breathe introduction to mindfulness course which all our guests can access both on and after the retreat too. We also provide happiness, identity tips, advice and ideas, useful resources and reading lists to help you figure this parenting thing out, and the all-important moments of relaxation through massages and other treatments. You rarely get time for zen in early parenthood - make the most of your self-care time with us! All guests get access to the &Breathe Club area - a password protected library of information and content that you can dig into whenever you want.